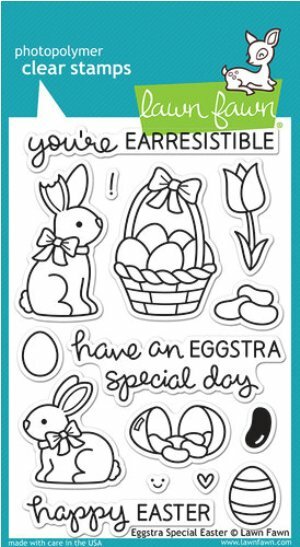 Looking for something eggstra special for Easter? Be it a gift for yourself, a family member or a friend, check out our list of hopping items below. 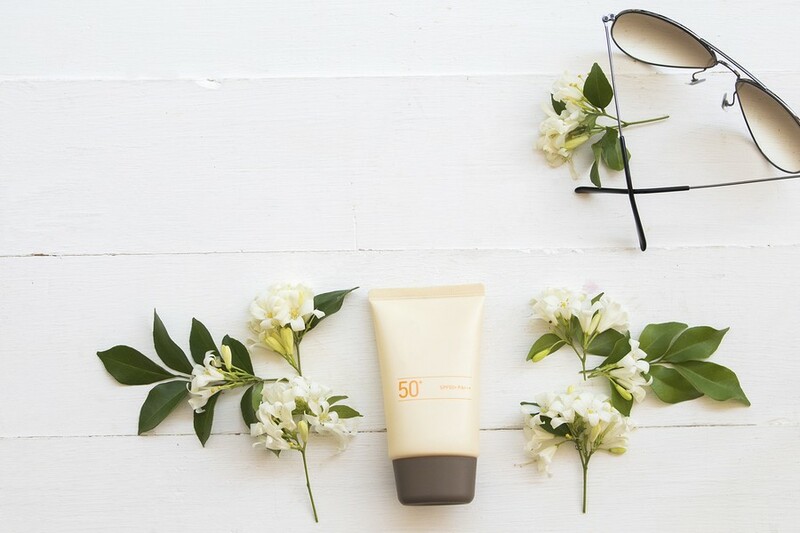 Click on the photos to shop the items! Is baby having his first Easter Sunday experience this year? 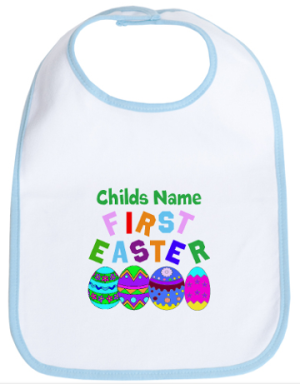 Get him/her a First Easter Bib which you can personalize by adding his/her name! Made from 100% soft ringspun cotton jersey with an adjustable hook and loop enclosure, this bib fits most babies from 0-36 months. A classy square-shaped backpack in brown might just complete your Easter outfit! 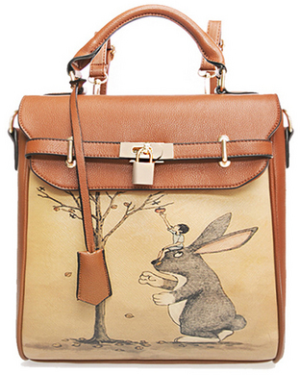 The fun rabbit-printed backpack features an interior slot pocket and gold details to match. 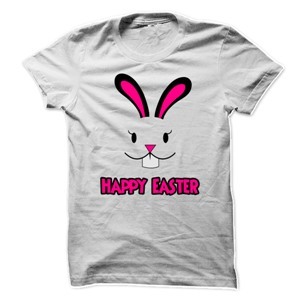 If you don’t have anything to wear yet, check out Sun Frog shirts and their collection of Happy Easter T-Shirt designs which you can also have on hoodies and ladies tees. 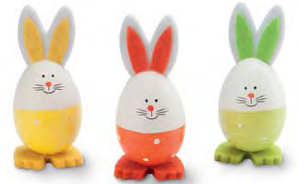 This adorable trio can be used as a table accent or to decorate Easter baskets and gifts. These crispie® Treats are the “hoppiest” treat for Easter! 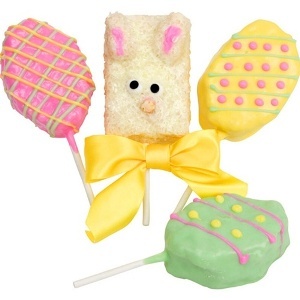 Hand-dipped in festive colored gourmet Guittard® Confections, our Rice crispies® Treats are hand-decorated to look like the Easter Bunny and 3 colorful Easter Eggs! Individually wrapped in cellophane bags for freshness – Edible Gifts Plus’ Easter Bunny is finished with a bright satin bow. 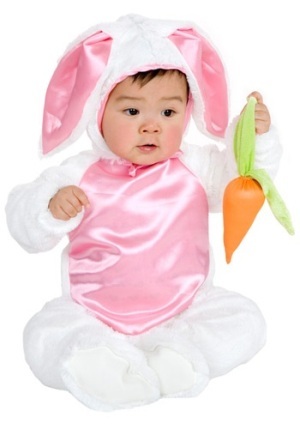 This Infant/Toddler Bunny Costume is perfect for Halloween and Easter–he’ll really get hopping! It’s made of soft, cuddly velour and your child will be the cutest bunny around. It’s an adorable way to let your Little Nutbrown Hare know that you love them right up to the moon and back! They’ll hop at the chance to wake up early knowing this friendly face is awaiting them! Silly rabbit, it’s not just for kids! 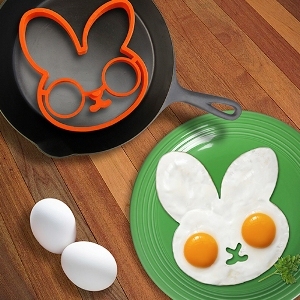 It will make for an eggstra special breakfast for some bunny you love this much! And if eggs aren’t so much your thing, it works great with pancakes too! 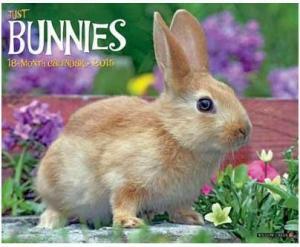 The Just Bunnies Wall Calendar for 2015 features 12 bright and detailed photographs of bunnies. The large format calendar features six bonus months of July through December 2014; daily grids with ample room for jotting reminders; moon phases; U.S. and international holidays. Easter is here. 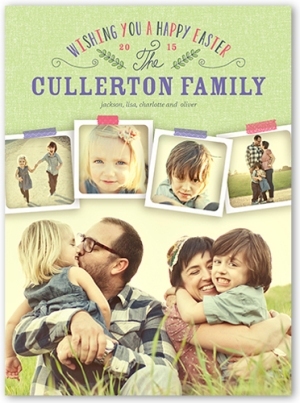 Celebrate the season with a favorite photo and your own wishes in this stylish Easter card. Each Lawn Fawn stamp can be used with any acrylic block and is made in the USA from the highest-quality photopolymer. There are 15 acrylic stamps on a 4″ x 6″ storage sheet included in the package. Want more Easter gift items? Click on the store names above to shop all Easter products and follow us on Pinterest for more finds.